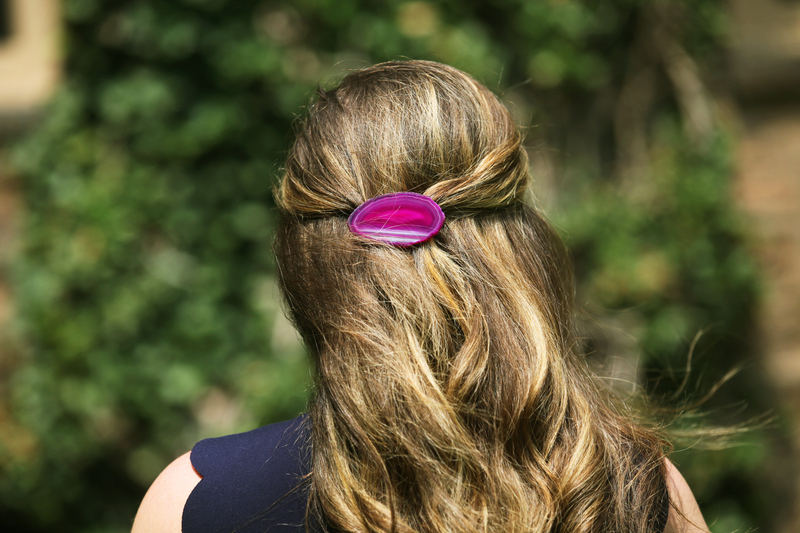 the comeback of the barrette! Remember how I shared about Elizabeth Heard Barrettes? I’m here to say I’m still obsessed with them. Categories: Good Looks | Tags: barrettes, etsy, Hair, lilly pulitzer | Permalink. I’ve been so excited for this post! I know this might seem crazy but you must must must take a little journey over to the Elizabeth Heard Etsy shop and pick yourself up a barrette. These are on heavy rotation right now because they are not only charming but practical, and actually hold your hair perfectly! Let me tell you a little bit about these because I stumbled across these on instagram first and went down the rabbit hole of every insta picture I could find (@elizabethheardbarrettes). 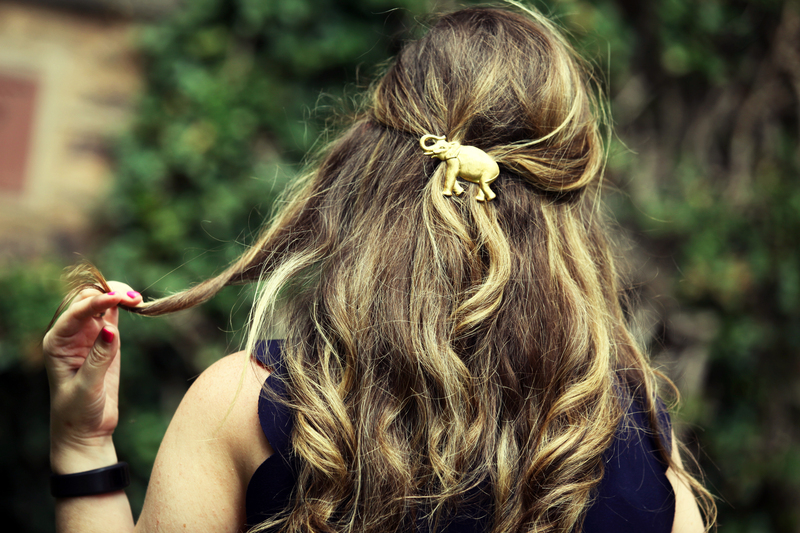 There are “party animals” like this elephant (perfect to pair with Lilly Pulitzer!) and a rhino and seriously beautiful agate ones – keep scrolling to get a peek of those. 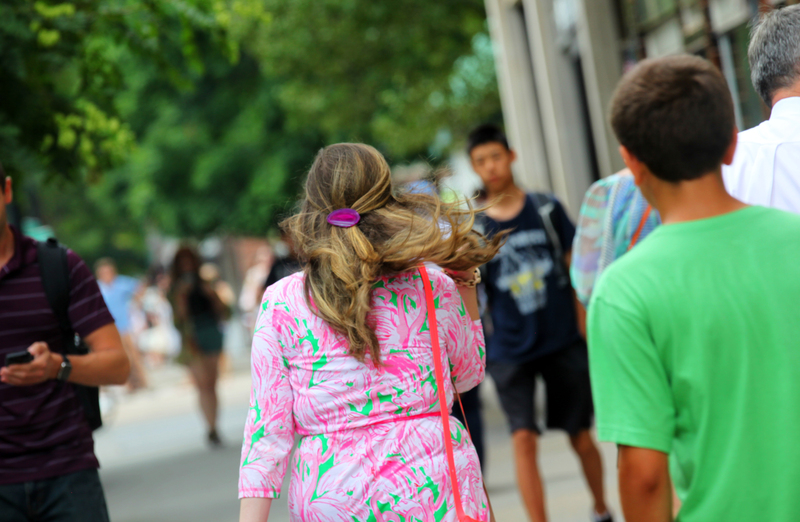 I always had bows and barrettes in my hair growing up (did you see my extensive bows here?) and this is the perfect way to add a little flair (as Elizabeth has coined: flair for your hair!) without looking like a child! 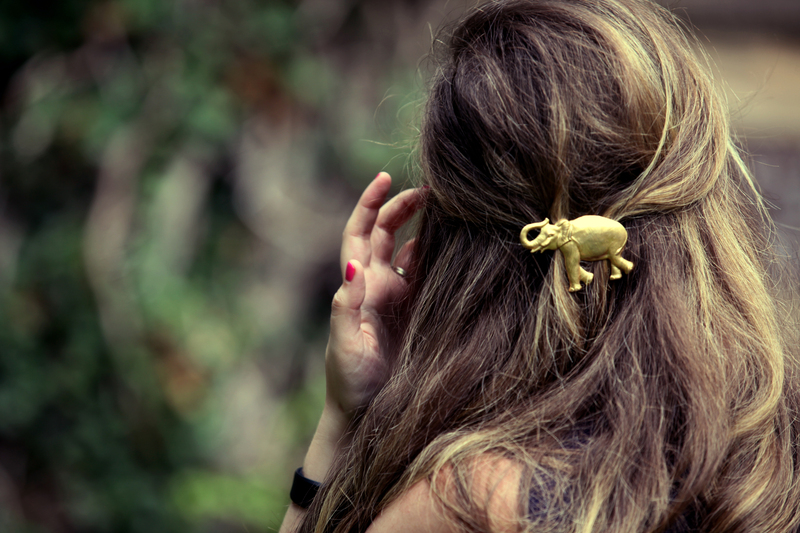 Elizabeth Heard is an independent line of carefully crafted hair accessories. Created by designer, Elizabeth Heard White, the accessories are designed for women to find their finishing touch by adding a dose of flair to the hair. Each barrette from Elizabeth Heard is individually hand-crafted with traditional accessory making techniques and inspected for flaws before heading out the door. The line pays tribute to the designer’s middle name as well as the name of her grandmother, the queen of flair. Sometimes when you order things on etsy its a little sloppy. Maybe the edges aren’t perfectly hemmed, something isn’t totally glued straight, etc. That is not the case with Elizabeth Heard Barrettes. These look like you picked them up at Nordstrom! There is no hint that these are anything less than perfectly manufactured. They feel totally solid, don’t slip down your hair like some barrettes can do. It’s not that I was really surprised, its just…thats not always the case! And look how cute the etching is on the back! 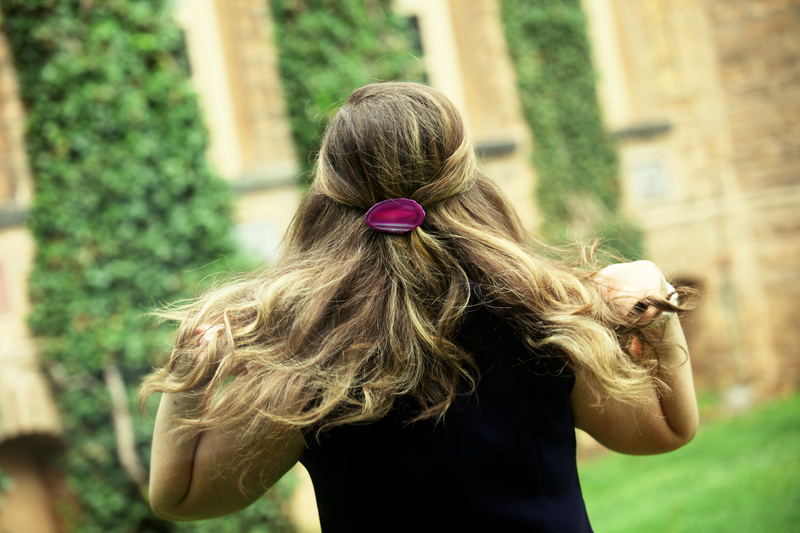 A little introduction to Elizabeth, the lady behind the barrettes: I have an unabashed obsession with hair barrettes, and have since childhood. From swimming to sleeping, you would rarely find me without one. My love for barrettes stayed in tact but noticed a niche in the market for quality and unique hair accessories. I always dreamed of starting my own line and attended Parsons School of Design after graduating from SMU in Dallas, TX where I was able to hone my skills for crafting custom hair wear. My barrettes began as a fun personal passion and have recently evolved into a small online and wholesale business. I am so grateful for the women with flair who find their finishing touch with one of my barrettes and am really excited for what’s to come. 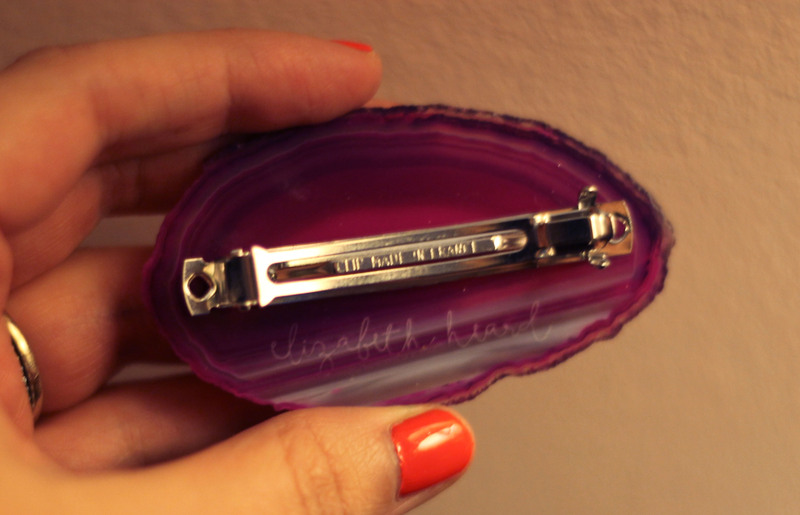 I’m such a fan of Elizabeth Heard Barrettes and quite honest, Elizabeth herself! What do you think about these barrettes? Categories: Good Looks | Tags: accessories, barrettes, elizabeth heard, etsy, favorite shops, gold, Hair, lilly pulitzer | Permalink. For as long as I can remember I’ve been the girl that every hair stylist, mom and friend will comment- you have so much hair! Yes, yes I do. Its naturally curly and terribly thick and in 8th grade I started straightening it…and its been a relief ever since. Since my first in my bag post was a hit- I thought I would share what goes into my hair prep! 1) Shampoo, Conditioner, Leave in treatment, Straightening Gloss and Air Control Hair Spray- I dont know what I would do without them…except have dried out wild hair. I’ve alternated some of the products with others to save money- but they are worth the chunk of change in my eyes. My first year of college in Boston I found the most incredible salon- Pyara. I found a great stylist and little did I know the obsession I would have with Aveda products and salons. The products are pricey but they do last, smell incredible, and truly are the only thing I’ve found so far to rule my locks. 2) As I mentioned before- my hair is thick and curly and therefore I like to have to deal with it as little as possible- enter Tresemme Dry Shampoo. I bought a sample size a few months ago thinking it was going to be a miracle spray- it wasn’t. I was disappointed until I gave it another try and perhaps I shook the bottle more…whatever it may be, I think it works great now. It can definitely get you through the ” I should have washed my hair last night, and I’m running late to work” mornings. 3) Chi Flat Iron- nothing else compares. This one is light weight and much cheaper than other Chi products. I’ve had mine over a year and its still going strong. I much prefer this to the other brands I’ve had that are cheaper. 4) When did these elastics come on the scene? I think they are fabulous, my hair is loving not being tangled and I somehow feel more trendy and “in the know” because people ask me all the time, “what is that?” and I get to tell them “oh, this? my hair elastic?” I probably seem like a snob, and I’m sorry- but they are awesome, and you shouldn’t judge them until you use them! 5) This is a superb hair dryer. I’m sure there are better with sending out super ions to your hair and such. But lets be real. You want your hair dryer to dry your hair, with minimal fire and brimstone hitting the cuticle. In my book, if your hair doesn’t catch fire and it blows more than a light fan- its a fine dryer. I travel quite a bit for work and this is THE best thing because the cord retracts. That in my book, is how to define a great hair dryer! Categories: Good Looks | Tags: Aveda, beauty, Boston, Hair, Hair care, Hair dryer, polyvore, Shopping | Permalink.